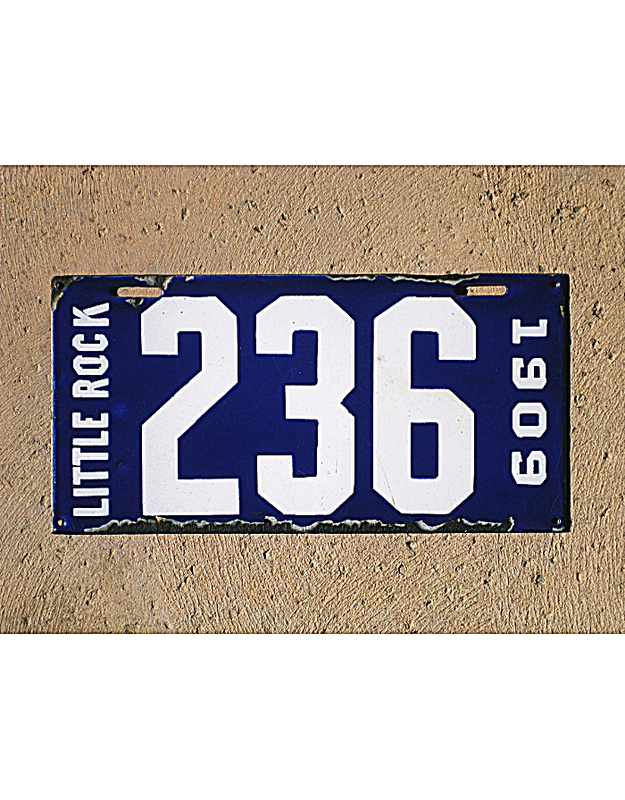 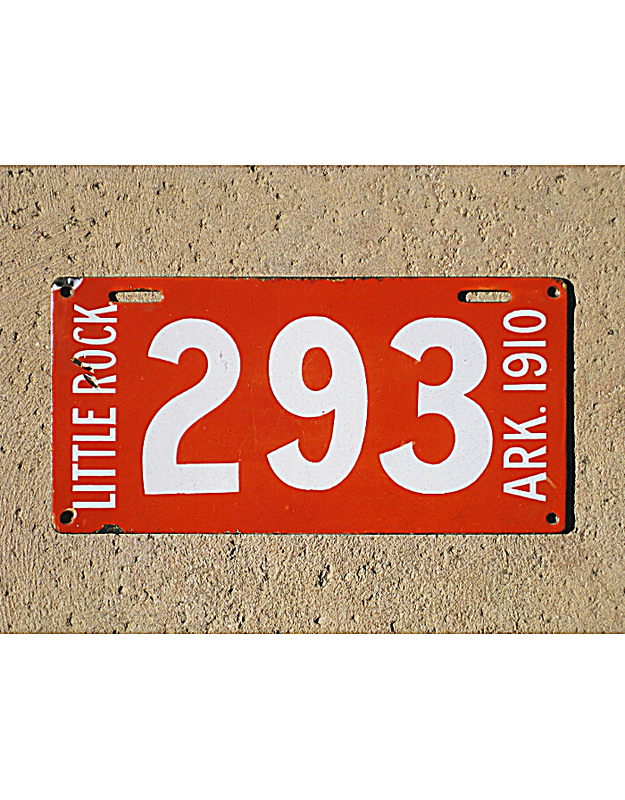 The State of Arkansas began registering automobiles first in 1911 with a standard state-issued license plate. Before that date, certain cities required automobiles to be registered. 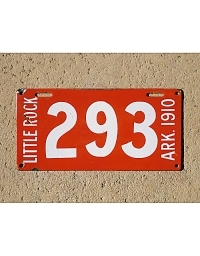 All Arkansas pre-state city plates are official local issues; no owner-made plates are known. 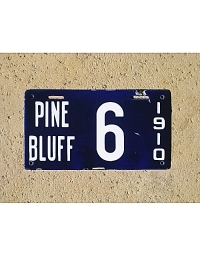 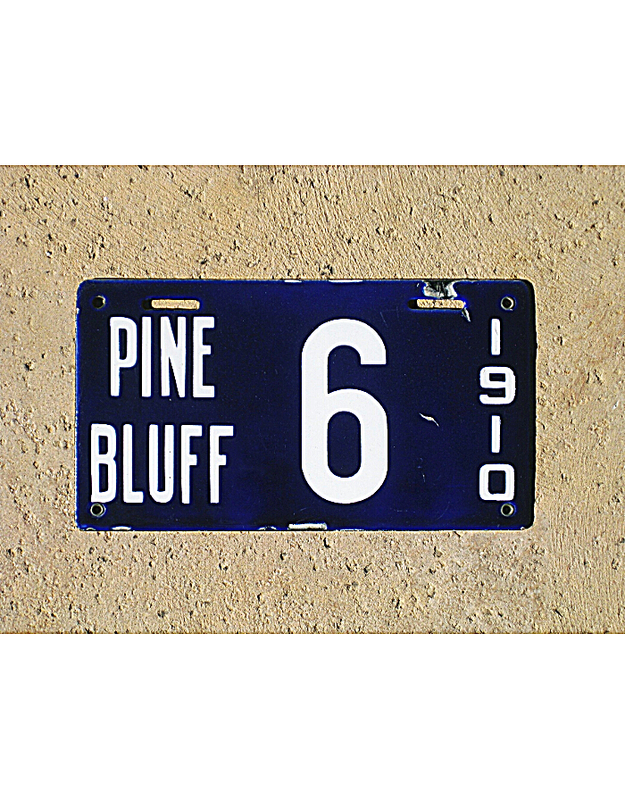 Pine Bluff issued regulation porcelain enamel license plates for 1910 (and 1911). 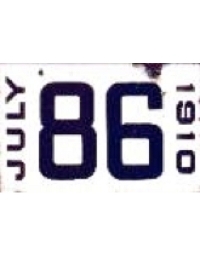 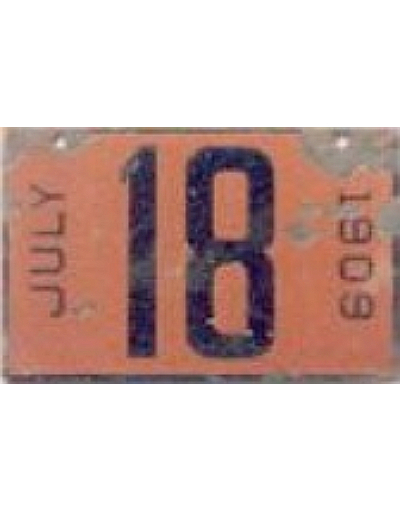 Fort Smith issued regulation porcelain enamel license plates, reading only JULY down the left side, and the year down the right, in 1909 and 1910. 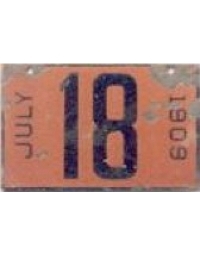 (A different format, also in porcelain, was used in 1911). 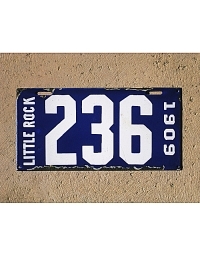 There is an undated license from Hot Springs (not shown); its years of use have not been verified.